Research Interest: Dr. Reza Kafipour's interest includes Teaching English, Paramedical science etc. Biography: Dr. Reza Kafipour is currently working as an assistant professor at Department of English, Paramedical School, Shiraz University of Medical Sciences. He has received PhD. in Teaching English as a Second Language, University Putra Malaysia(UPM), Malaysia. 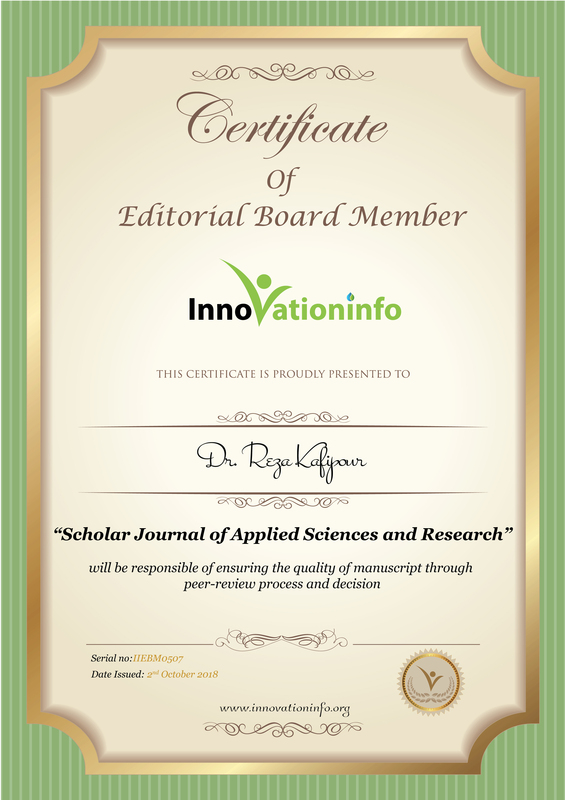 He is also associated with numbers of international and national journal as a board member and reviewer. Article: English article writing of Iranian doctoral students. American Journal of Educational Studies, USA. Article: The effect of task-based language teaching on analytic writing in EFL classrooms, Cogent Education, UK. Article: The effect of task- based instruction on L2 grammar learning and motivation of Iranian EFL learners junior high school students. Revista Publicando, Ecuador. Article: An analysis of the most consistent errors in English composition of Shiraz medical students. Pertanika Journal of Social Sciences and Humanities, Malaysia. Book: Vocabulary learning strategies: Potential effects on vocabulary size and reading comprehension, Lambert Academic Publishing GmbH.